M. Evans & Company, Inc. Some secrets age well, others tend to fester. Art Hardin, a private investigator and retired counterintelligence officer, is a man of many secrets. One of these secrets has fallen into the hands of a local TV muckraker which can cause enough trouble to keep most noir detectives busy for three hundred pages—Art’s not that lucky. Just after Art locks horns with the journalist, his wife, Wendy, takes him to the airport to pick up a young friend returning from a Caribbean vacation. Karen Smith deplanes with a fabulous tan, a new beau, and a suitcase full of money—Karen doesn’t know about the money, but her new Middle Eastern boyfriend does. Using a Canadian passport to enter the US, he put the money in Karen’s suitcase so he wouldn’t have to carry it through customs. After a donnybrook and a shootout at Karen’s house the money disappears. Lots of people want it. Some of them kidnap Karen, some of them set off a bomb at the TV station while Art is on the air with the muckraker. After that, things get nasty. British Rights: M. Evans & Company, Inc. Translation Rights: M. Evans & Company, Inc. Audio Rights: The Zack Company, Inc.
Film & TV Rights: The Zack Company, Inc.
Robert E. Bailey spent half a decade as a corporate security director in the city of Detroit and twenty years as a licensed private investigator. 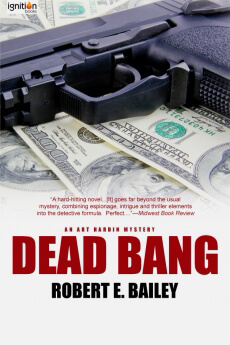 An award-winning combat pistol shot, Bailey returned to his first love, writing, when he was injured on the job and no longer able to work the street. His first novel, Private Heat, an action-packed thriller featuring private investigator Art Hardin, won the Josiah W. Bancroft Award at the Florida First Coast Writer’s Festival in 1998 and was a finalist for the 2003 Shamus Award, given by the Private Eye Writers of America. 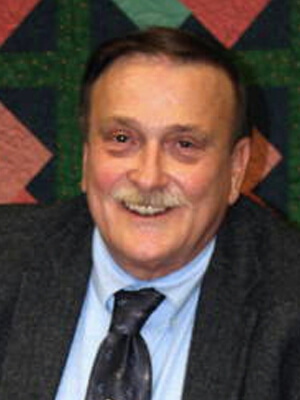 His second novel, Dying Embers, also featuring Hardin, was a 2004 finalist for the Great Lakes Book Award, Also in January 2007, Mystery Scene magazine named Art Hardin one of its top 100 private eyes. Sadly, Robert Bailey passed away in 2013. His wife, Linda, and a good writing friend of Bob’s have worked together to complete the edits on his final work, Deja Noir, forthcoming from Ignition Books®.